A recent concert tour of the Big Apple was a dream come true for Bishop Noll Institute concert band members. During their New York City visit, the band performed concerts at the Carnegie Hall complex, on the flight deck of the USS Intrepid and in historic Rockefeller Center and Trump Tower. The students also saw a performance of “Phantom of the Opera” on Broadway and took in other musical sites such as the statue of George M. Cohen, father of the Broadway musical, and John Lennon’s memorial in Central Park. Students also experienced a two-hour one-on-one clinic with conductor for the New York Philharmonic Michael Adelson. They toured the 9/11 museum and reflecting pools at the footprints of the old World Trade Center buildings and toured historic Radio City Music Hall. Freshman Abigail Wojtaszek was inspired by the city. Junior Maria Reyes also enjoyed the Broadway experience. The Bishop Noll band program is a true pre-college experience for Bishop Noll students, said band director Rocco Carioto. “Every other year we either perform at a college bowl game or put together a concert band tour to a famous music historical area of our country,” he said. The trip to New York was made possible through fundraisers as well as donations from many parents and Bishop Noll alumni. “Our students get to experience so many life changing performances. This tour was more than just about performing concerts. It was about being in a city that is known as the musical mecca of the world," Carioto said. 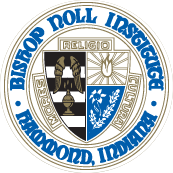 The students were great ambassadors for Bishop Noll, Northwest Indiana, their families and their communities.